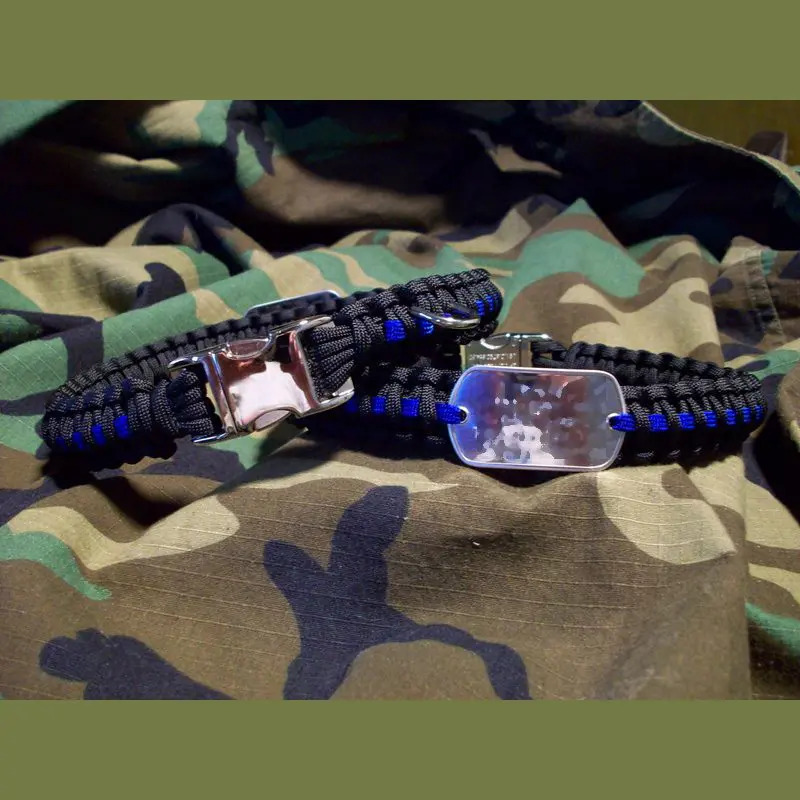 Our quality Military Dog Tag Paracord K9 Collar includes your customized text for your best friend! 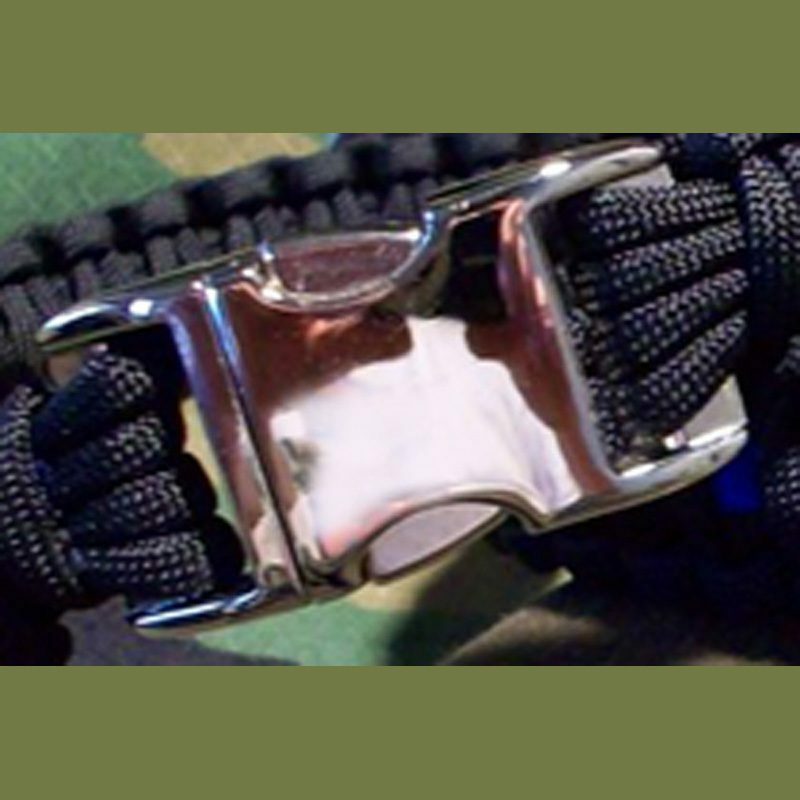 Photo shows our genuine High Polished Stainless Steel Dog Tag to match our High Polished trick Aluminum buckle. For quality and strength purposes, we no longer offer the plastic buckles for our dog collars. Each collar includes 2 rings — one to attach a leash and one for your dog's tags. Don't want a high polished tag? 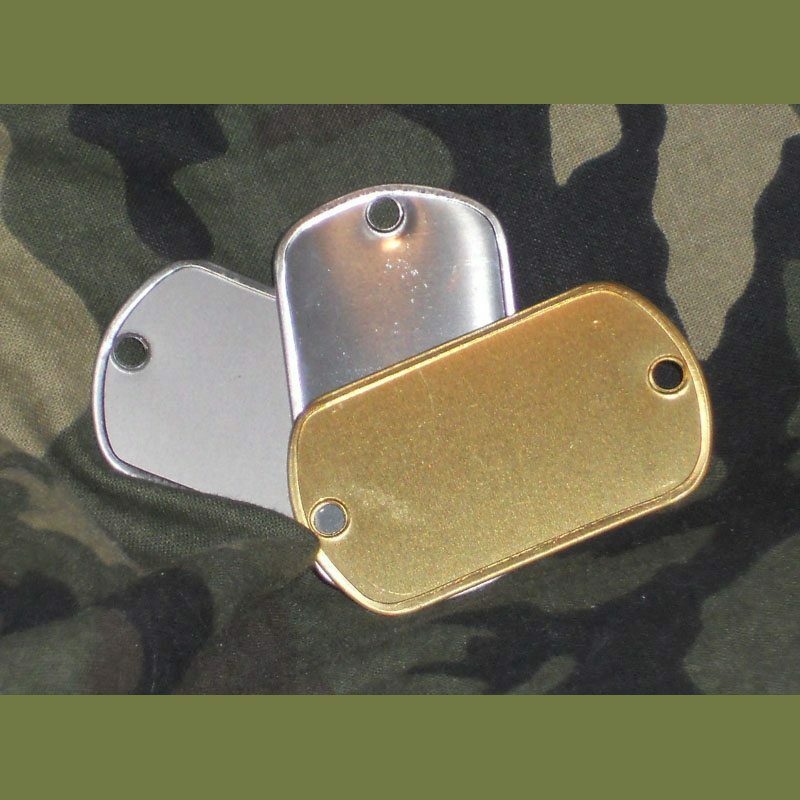 You can choose our GI Satin Dog Tag or Brass Tag made from spent shell casings instead. Use our measurement instructions here. Each line can contain up to 15 characters including spaces. 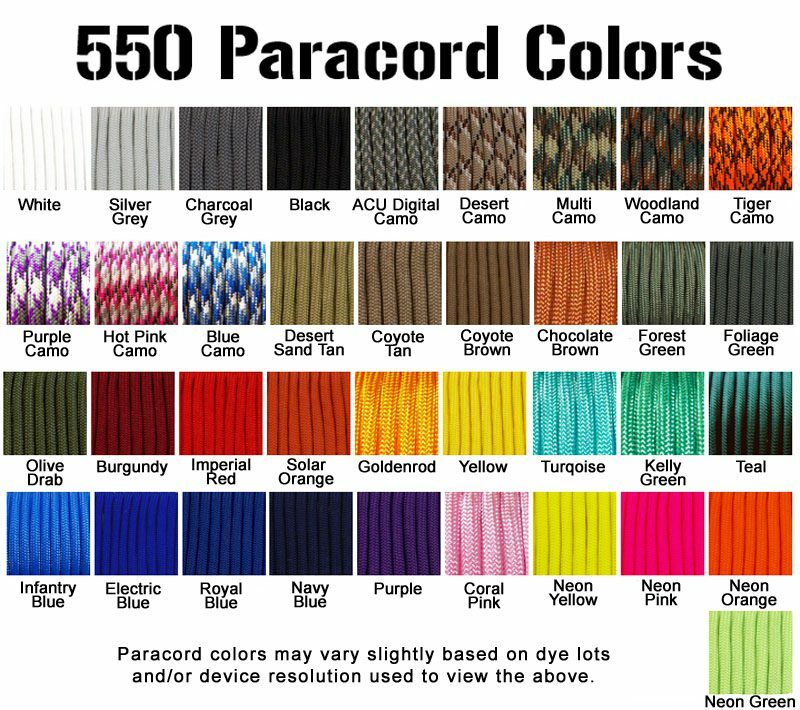 You can designate different edge, center and center stripe paracord colors to create your own one-of-a-kind Paracord Dog Tag K9 Collar. How do I provide an accurate size for my K9’s neck? Get the perfect fit for your K9’s dog collar by using these instructions. I need neck size ? not collar size! I’ve made thousands of dog collars and know how to knot up your order for a comfortable fit. But I need you to take a moment to get the right measurement info to me. Why do we need your dog’s neck size? Based on the size you provide, I add the necessary length to make sure the dog collar will fit properly. Wrap the strip of paper lightly around your K9’s neck.